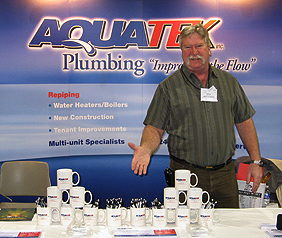 AquaTek Plumbing, Inc. was founded by Jim Shepherd and Chris Johnson in 1982. AquaTek was founded on the principle that our customers deserve and will receive complete, professional, cost-worthy service without fail. We employ a management team with over 150 years combined experience. We have built a trust with numerous property managers specializing in condominium and apartment management. Customer satisfaction and continuous improvement are our primary goals. 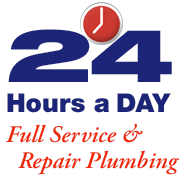 The mission of AquaTek Plumbing, Inc. is to provide complete, professional, cost-worthy plumbing services without fail. We take pride in our standard of excellence and our ongoing commitment to our customers. We strive to make loyal, lasting business relationships. We endeavor to employ individuals who are competent, caring, respectful and work daily toward continuous improvement. Although AquaTek Plumbing, Inc. performs both residential and commercial work, we are specialists in multi-unit dwellings. A large percentage of our work is with property management companies who manage condominium associations.